There can be a few reasons they are not able to see them. Employees must be assigned to the same position and location as the available shift to see it. You can confirm this info in their profiles. 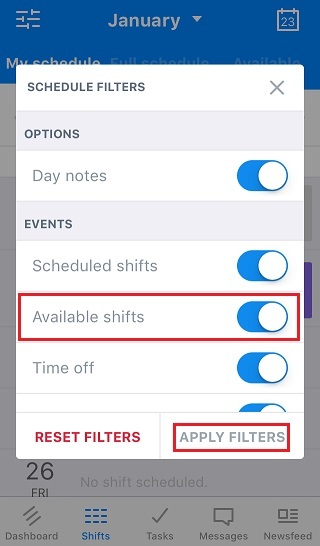 If they do share the same position and location as the Available shift, please have your employees check the filter settings in the app. To access these, they will go to the Shifts tab and click on the filter icon. In the next window, they should make sure Available shifts has been checked.